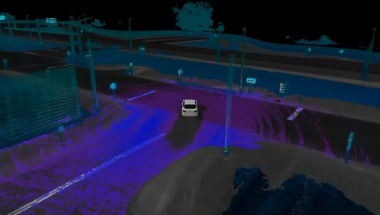 Volvo’s Pilot Assist II and Ford’s Wintery Test Drive with Ranging Lidar Sensors are working hard to pave the way for semi-autonomous cars. Autonomous vehicle talk has been all the buzz in technology lately but let’s be real – there are still hundreds, if not thousands of kinks that need to be worked out before a fully autonomous vehicle is released. However, thanks to Volvo, the first semi-autonomous car is finally here for the U.S. public. Volvo will be selling their semi-autonomous S90 later this year with Pilot Assist II. What is Pilot Assist II? Pilot Assist I, the first edition used in the Volvo XC90, can stop/steer the vehicle it is programed within at up to 30 miles per hour. Pilot Assist II is able to complete these tasks at up to 80 miles per hour – almost triple the speed. While the XC90 with Pilot Assist I is more useful in suburban areas, the Volvo S90 with Pilot Assist II tests its limits on the highway. 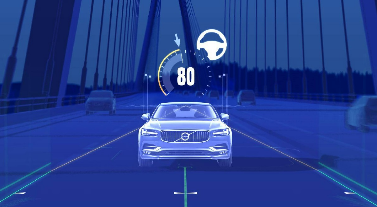 Building autonomous cars is part of Volvo’s “Vision 2020” plan – making sure nobody is killed or injured in a new Volvo by 2020. That’s asking a lot. But if any automaker can pull that off it’s Volvo. Their vehicles are similar to tanks. Another automaker making splashes in the autonomous world is Ford. They’ve been testing their Ford Fusion model with the autonomous technology for over a year, but not just in any terrain. They’ve been testing where it matters most: snow covered roads. Roads covered in ice and snow are difficult for autonomous vehicles because their sensors are unable to locate the lane lines. Ford has acknowledged this and is attempting to fix the problem. They are using Light Detection and Ranging Lidar Sensors as a solution. Ranging Lidar Sensors work similar to radio waves by bouncing lasers off objects to create an image. But these lasers don’t usually work while snow is covering the road. Therefore, Ford is redirecting the Lidar Sensors to bounce off buildings and road signs. The car is then able to generate a map of the surrounding area, allowing the car to navigate where visibility is poor. Ford has not released any information on when they will be releasing fully autonomous cars to the public, because they have a lot more testing to complete. It’s comforting that they have discovered a possible way for autonomous vehicles to drive in the snow. Now whether or not fully autonomous vehicles become standard in the future, it is too early to tell. If they do, I personally don’t think it will be fun. Like many car enthusiasts out there, I prefer to drive my own car because that is how I feel the most in control. Don’t forget the hackers and what they did to that Jeep Cherokee a year or two ago. If there is a way, they’ll find it. Nevertheless, don’t let me be a damper to you. A lot of folks will thoroughly enjoy autonomous cars and believe me it’s fascinating technology – I just have trust issues with robots.